Cost: Complimentary for Generation Dayton members and $10 for non-members. MUST RSVP to LaDonna Wulfeck at lwulfeck@dacc.org. 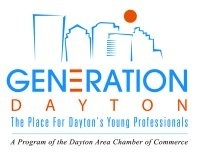 For more information on this or any Generation Dayton event, visit www.generationdayton.org. This entry was posted on Wednesday, January 6th, 2010 at 2:34 am	and is filed under don't miss this!. You can follow any responses to this entry through the RSS 2.0 feed.